expanded metal machine, angle bead machine, its finished products, etc. 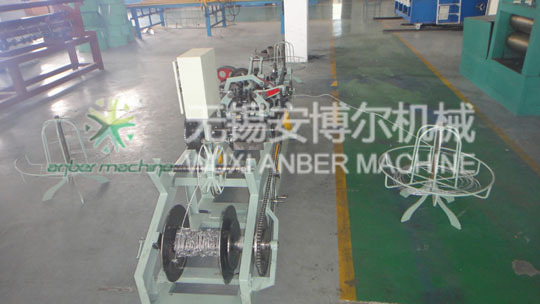 The barbed wire machine is used to produce the single barbed wire. The raw material shall be in conformance with GB/T343-94, the standard of thermally galvanized low-carbon steel wire for general use. 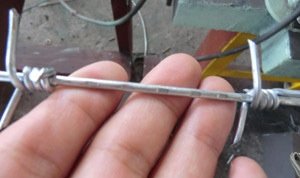 The main wire can be middle carbon wire, but the barbed wire only can be low carbon wire. Its products are widely used in fence, railway, highway and agriculture & stockbreeding fields. 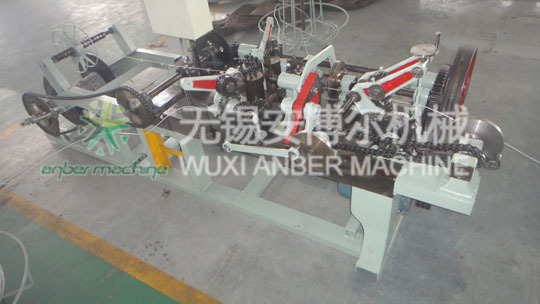 The Model CS-B single wire machine basically consists of two main systems, which are prickle knitting system and wire collecting system and three steel wire feeding wheels are facilitated at the same time. It can be operated flexibly and performs consistently and reliably, and can be calculate the QTY by electric counter, it is the unique prickly steel wire manufacturing equipment in China. Remark: special requirement can be according to both parts' agreement.